Sleep is meant to be a period of restoration for the mind and body. Normal sleep includes a drop in blood pressure, a release of growth hormone and overall rejuvenation for the coming day. When sleep apnea is present, however, sleep not only lacks these benefits but also presents major risks to health in the present and in the long term. This means that sleep apnea is a threat to far more than just quality of life. Many people with sleep apnea don’t realize that they have the condition. In some cases, patients know that they snore but aren’t aware that it can signify bigger problems. Sleep apnea patients may stop breathing from five to more than a hundred times per hour when they sleep. With each apnea episode, your are jerked out of deep sleep and deprived of oxygen. 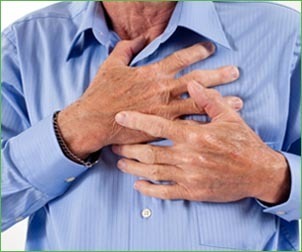 Deoxygenation places undue strain on your heart in particular. In the long term, untreated sleep apnea can cause heart disease, stroke and sudden cardiac death. Without oxygen, risks of dementia increase and hormone levels plummet. Blood glucose regulation is also disturbed, increasing the risk of diabetes. Finally, sleep deprivation symptoms place you at risk of suffering deadly accidents. When you have been diagnosed with sleep apnea, you might be surprised to learn that your sleep disorder can be treated by a dentist. Sleep apnea is often the result of a malfunction in the tissues of the upper throat and mouth, where dentists are experts. In addition, certain treatment options offered by an experienced dentist like Dr. Ana Brightleaf in Santa Monica can be more tolerable and effective for sleep apnea patients. Dr. Brightleaf treats sleep apnea at Brightleaf Dental in Santa Monica. When patients are diagnosed as suffering from sleep apnea, Dr. Brightleaf may recommend a variety of treatments based on the severity of symptoms. For example, certain lifestyle changes can make a major difference for patients with mild sleep apnea. These may include keeping the bedroom cool, avoiding alcohol before bedtime and keeping pets out of the bedroom. When sleep apnea is more severe, Dr. Brightleaf may recommend oral appliance therapy.